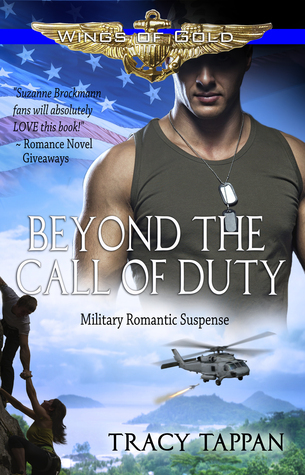 An intense well written new military series by Tracy Tappan that had me hooked from the first page. This book starts out with a fast intense pace using military terms to provide the reader with a stronger sense of correctness as opposed to make believe. This author spent a fair amount of time created a glossary to explain to us what the terms meant making for me a very enjoyable and learning read. Her characters were well developed and multifaceted. Eric and Nicole's interactions distinguish for me an element to the storyline outside the "too sweet and I know how this ends" in most books. I know the reader will love the resolution between their attitudes about each other. There are several secondary characters in this book and the one that stands out the most is Lieutenant Kyle “Mikey” Hammond. For me his attitude just rubbed me the wrong way but of course when that happens I always want to know his story so I look forward to learning more about him. Also Nicole's DEA partner, Ryan Aagaard, really caught my eye and it was amazing that the author was able to change my opinion of his in your face attitude by the end of the book. I recommend this book to people who like some meat in what they read. And guys you will like this read. I give it 5 STARS.